Jets need a Center too. Hope we get him or Morse. Actually very surprised that he might get to see FA but I guess considering a season ending injury and being 29..they don’t wanna pay him what he’s wanting. He’s still one of the best in the game and you go out and get him if you can. Part of what makes a Center valuable is the ability to recognize what the DL is doing and make adjustments at the line of scrimmage and Paradis is great at that. It’s what made Nick Mangold one of, if not, the best Center in the league for some years there. I would literally back up the truck. Let him name his price. Bills may have already moved on from Paradis. Otherwise the Spencer Long signing makes no sense. 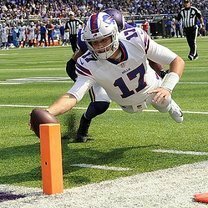 Long said he’s been told he’ll compete for the starting center role, presumably with veteran Russell Bodine, who made 10 starts at center for the Bills last season. Long has also been told he will compete for a starting position. Doubt Long will compete for a starting spot with a Morse or a Paradis. So maybe the Bills have moved on from Morse / Paradis. 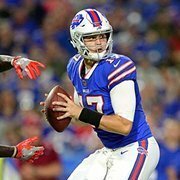 But, based on the fact that only $1.2 mill of Long's contract is guaranteed - the Bills may still be looking for another Center. Mixed signals. I hope the Bills at least try to bring him in for a visit. There’s no guarantee he will be interested, but I feel like you have to at least kick tires on him. He could be a big help to Allen identifying coverages and setting protections. I think Allen needs that. You could see how it helped Allen when Bodine took over for Groy. Bodine was better at identifying coverages than Groy, and as Patriot Killa said, Paradis is one of the better C’s in the NFL in that regard. I don’t think the Long signing precludes them from going after Paradis. Long plays guard and center (and IMO is probably better as a guard). They could easily slide him over to G. For all we know, that’s what they signed him to play... (and/or to compete with Bodine in case they strike out on a clear C upgrade). Plus, Groy, Mills and Miller are all free agents. The Bills still need to sign at least a couple starting linemen. My thing is the Broncos seem to be so unaware of the fact that most NFL teams are so OL hungry that the moment Paradis is let go to test FA and come back with a price...they aren’t getting him back. The Bills, Jets, Cardinals, Texans and every other team under the sun is going to be bidding on him. I don’t think the long signing has any bearing on who they may target. Long was just available and they wanted to make sure they got someone ASAP. He’s versatile and can start in the pinch. I would guess buffalo signed him as depth or a temporary starter. Paradis and Morse should still be big targets if they hit the market. Spencer Long should in no way affect that. Despite being a starter for the majority of his career, he is just another guy and with targets like Mitch Morse and Paradis getting ready to hit FA..you cannot let Spencer Long out of all people hold you back lol. Just curious: where are you hearing Matt Paradis will be allowed to test FA? You got a Denver insider? Please dish something if you want some credibility here. Long is a safe signing for right now. There is no gaurentee of signing any player that you want once free agency opens, even if you offer them top dollar. I don't think that signing Long has much to do with the players they target in free agency. Bring in as many oline upgrades as possible and let them all battle for the top spots. I would be surprised if the Jets aren’t one of the bidders for Paradis. Whether he picks NY or not, I do not know. But I fully expect them to make an offer (and probably a pretty big one). Same with Antonio Brown. I think the Jets will be one of the teams that try to trade for him. At least that’s my guess. I just get the impression that Maccagnan kind of likes to big game hunt. If signing Spencer Long prevents the Bills from signing Paradis or Morse, then we have bigger problems than we think when it comes to the talent evaluators at OBD. This is like saying the Bills signed Adam Lingner, so they have no need to bring in Kent Hull. The Jets are desperately dumb. I can totally see them trading the 3rd overall pick for AB. It’s a great time to be Paradis!!! I too believe we will be competing with the Jets for the services of Paradis. There's a good possiblity Long was signed to play guard or could do so if we're able to land Matthew. As much as I love what's going on, I'm gonna be a tad disappointed in OBD if we can't lure him to our fair city. I’m nearly positive that they will offer Paradis a big contract. OL in general is such a huge need and especially Center. Antonio Brown I’m not too sure about though. Maccagnan hates to give up draft picks and he doesn’t love diva’s. I too believe we will be competing with the Jets for the services of Paradis. But I don’t really have my hopes up. Im not sure how many real big names buffalo will go after, and even if they do buffalo isn’t exactly a free agent destination (yet...😁). Im hoping this new, state of the art $18M training facility will help their recruiting. It’s supposed to be one of the top 3 in the NFL when finished. That’s pretty damn cool for a small market team. I think there may be something of a ripple effect if we can land a bigtime player like Paradis early in the process. Crossing my fingers. If he is a zone guy and the Bills are moving to man, is he a good signing? To be a guard and a good "problem" to have? Overpay to get the linemen you need. If they pick the right guys, nobody's going to care about the extra $1-2M they're getting per year.